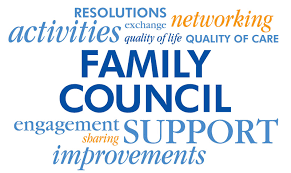 Our next Family Council meeting will be on May 16, 2019. We will be meeting in the Menno Hospital Conference Room (near the Fireside Café- behind Receptionist Leslie Calbick’s desk) from 3-4pm. Guest Speaker: To be Determined.